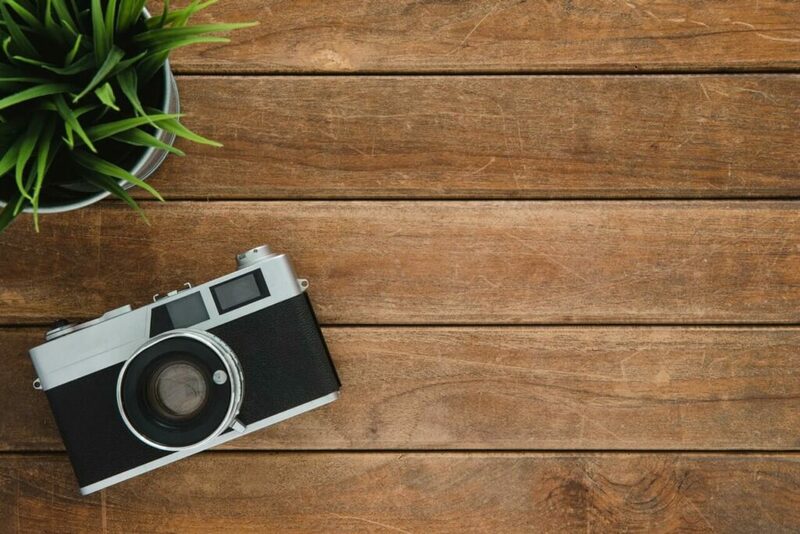 Often we’re asked by clients if they should use stock photography or if they should hire a professional photographer for photos for their website. The answer is, it depends. Understanding what stock photography is may help with the decision. Stock Photography is a stockpile of photos, images and vector art that can be licensed for a specific use. There are lots of places you can get stock photos, either for free or paid. Stock photography has its benefits. It is less expensive and a lot quicker than a professional photo session. Lower prices and instant downloads are often attractive to small businesses who are on a limited budget. Stock photography is also great for composition and mocking up websites and print materials. Many businesses will use stock photography until hiring a professional photographer is in their budget. The downside to stock photography is that it can be bought by anyone and is not original. If you decide to go this route you risk the chance that your competitors will use the exact same images. I frequently see a social media post, ad campaign, or website with images I’ve seen previously in other places. Also, many stock photos are unrealistic. 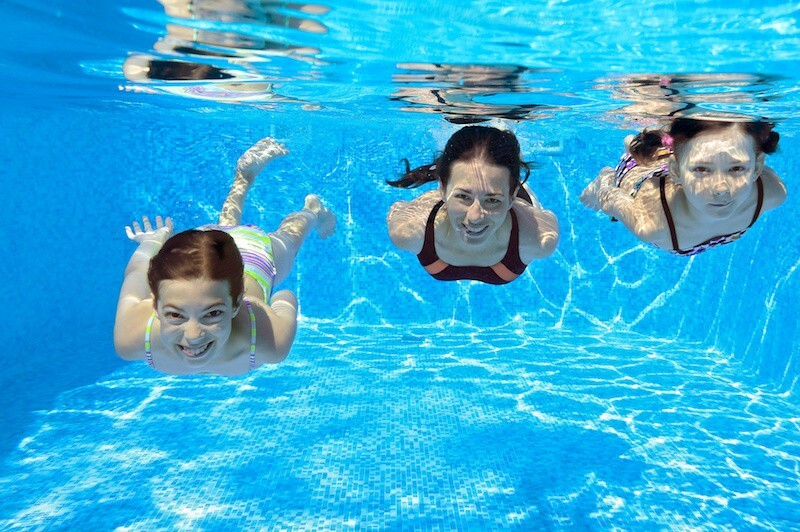 One of my favorite examples is this stock photo, which I purchased for this purpose, of a family swimming underwater, with their mouths and eyes wide open. Incidentally, I see variations of this stock photo in ads and on website all the time. Is this how you look when you swim underwater? Stock photos also aren’t representative of your business. If someone goes to your website to learn about your business and sees stock photos, they might assume they are actual photos of your business, team, or location and be unhappy when they show up to your location and it’s different. One particular example was for a dentist’s website we were working on. The person who originally set it up (a friend of the dentist) had purchased stock photos of dentists working on patients and peppered them throughout the site. And while they were photos of dentists and dental offices, they weren’t photos of the actual dentists at this office and they weren’t photos of the actual office. It can be seen as a misrepresentation and not look good to your customers and clients. Additionally, studies have shown that millennials, in particular, do not care for stock photos so if that’s your target demographic, you might reconsider this avenue. Professional photo sessions can be expensive but when you hire a professional you are paying for their technical expertise, time, creativity. A good photographer should be able to capture the mood or highlight your product or company with skill. When hiring a photographer be sure to check out their work and resume. If it is in your budget hiring a professional photographer is a good idea, especially if you need a business portrait, store photos or product photography. Whether you choose stock photos or professional photos always make sure you use images that complement your content and target your audience. Photography can enhance your marketing campaigns and draw attention to your business when used properly. We always recommend against using bad photos. Some businesses come to us with photos they’ve taken on their old phones or old photos they’ve scanned. Typically, no photos are better than bad photos, but sometimes a good designer can Photoshop a bad photo into a good photo. Learn more about how to work with bad photos in this blog post. When looking for stock photos, please be sure to read the license for the photo you are buying. Some licenses have restrictions on when you can and can’t use them. Most of the time, stock photos can’t be used in logos, but most people never read the license to know that rule. And yes, the company can come after you if you use the photo contrary to the license. There are some really great free stock photos out there, but be warned that you are much more likely to find free stock photos on other websites simply because they are free and easy. You will find a bigger variety and typically better photos on paid stock photos sites. Professional or stock, Sumy Designs can create the perfect website for our small business. Contact us today for a free estimate.